I love the start of a New Year. I know, many will say that starting a New Year is purely a calendar thing, but I disagree. I always feel that I am bouncing into an exciting new era, with good things just waiting to happen. Now, before we leave the Festive season completely behind us, I must tell you about the amazing spectacle that greeted us in Montespertoli on New Years day. 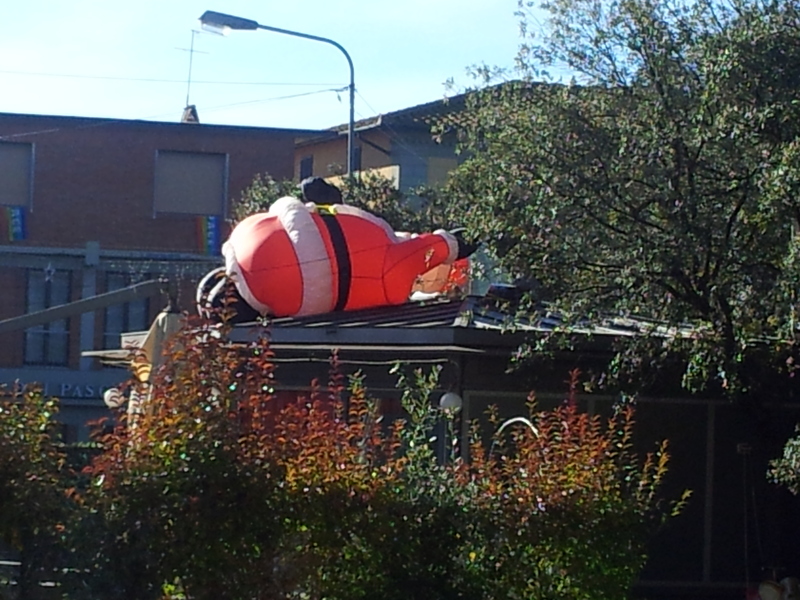 No one seemed to have noticed that on the roof of the Bar in the main piazza, Babbo Natale (Father Christmas) was lying on his back seemingly unconscious, having stayed on for the New Years Eve festivities! This was very disturbing and we felt it necessary to call for help as he looked horribly lifeless. Finally he was helped down, and despite being embarrassed and deflated, he was pointed north and his stopper pulled out! In our family we have celebrated three birthdays. Our genero (son-in-law) on 31st December, our granddaughter on 5th January and my man on 10th January. My man arrived back after a few working days in London on his birthday. I had laid a log fire, put some nice wrapped presents on the coffee table and some Prosecco in the fridge. Gradually that handsome smile returned to his face despite the fact that A. He was not happy to have reached such a great age. B. He was annoyed with the weight he had put on over Christmas and C. He had had a pretty frustrating journey on the train! My man is now grinning up from the garden as I gaze down from the studio window, and he tells me he has taken some nice photos. 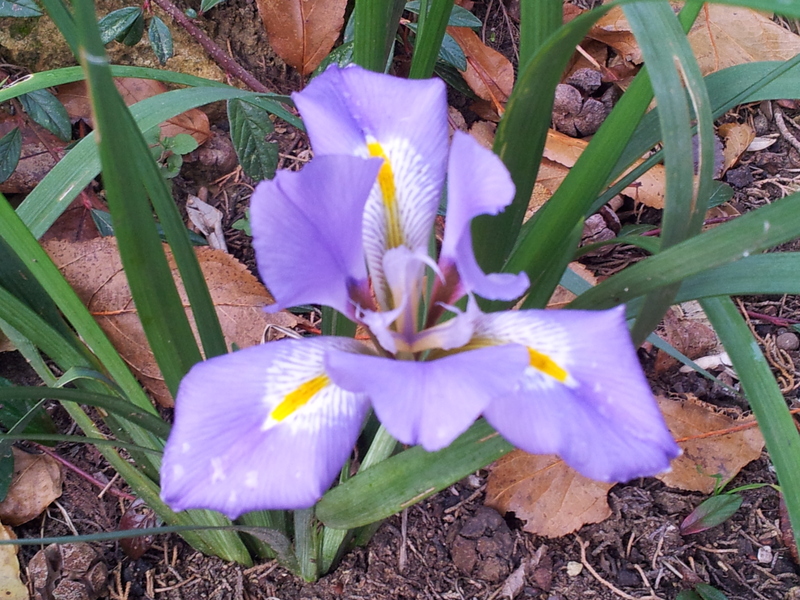 Would you believe it, a beautiful Florentine Iris is in flower and so I have attached a picture. The sun is now dipping towards the west and is hidden by woodland, however, the long shadows are creating the most beautiful three-dimensional vistas. 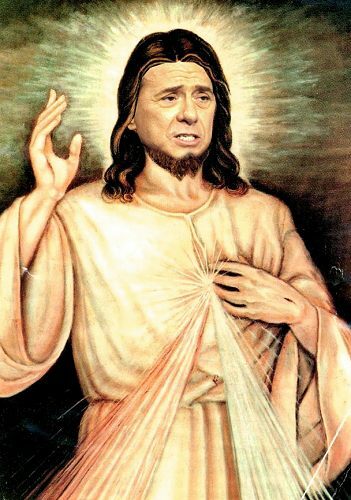 Ah, life is good…..
And finally, a quick mention about our idol, Silvio Berlusconi. I see that Wikipedia has updated SB’s page and now reads ‘SB is an Italian politician (really? ), entrepreneur (yes), media tycoon (yes), frequent criminal defendant ( not in his view), and convicted tax evader (wrongly he says) who has served three times as Prime Minister (yes sort of). it is important to remember that he is considered a hero by many, and idolized by your right-winger as a man to look up to. If one ignores that he is virtually challenged, possibly. Opposite is a picture of how some people see him through rose-coloured spectacles! Have a wonderful week, do drop me a line and see you next weekend. PS Check out my book ‘My Father, The Assassin’ on http://www.firstchapters.net, listed under thrillers, and download immediately at a big discounted price! Buy the paperback on http://www.Amazon.co.uk or .eu or .com. If you would like a personal message and autograph on a pretty sticker to go in your book, send your postal address to june.finnigan@virgin.net Enjoy! Yes, the one thing that never lets us down is the heat of the sun when it comes out. 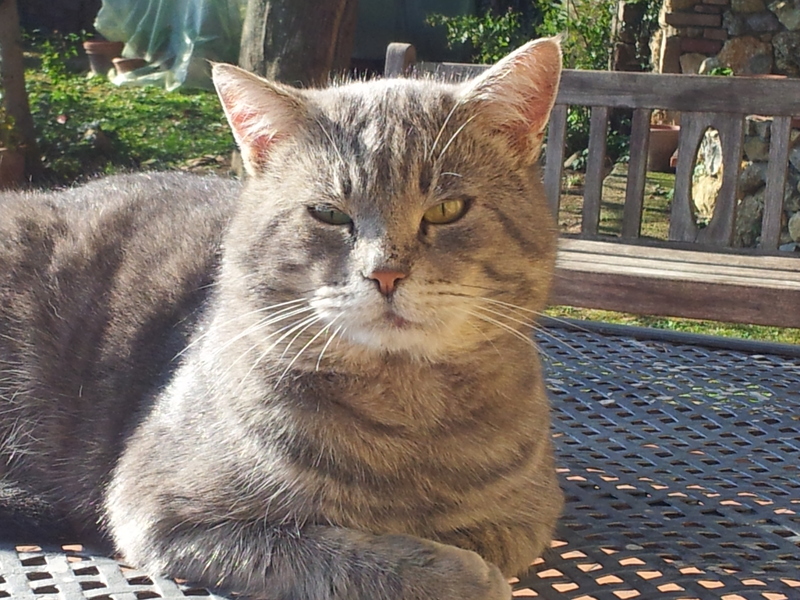 Get out the wind into a little sun trap and, despite a chilly air temperature, you can virtually sun bathe! I have just completed chapter six and things are flowing nicely!